Built in 1894 and dedicated in January 1895. 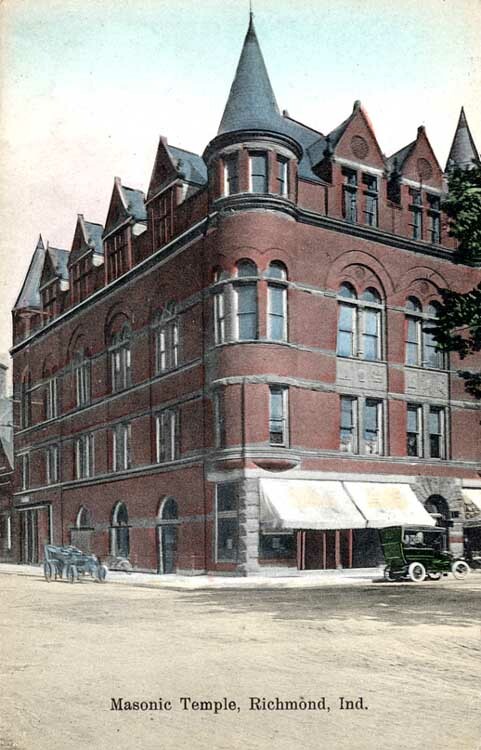 From 1906 to 1914 the first floor was the home of the Richmond Palladium. Razed in 1969.